This soft cover edition has been crafted with one of the most premium cloth based cover materials for achieving maximum endurance. 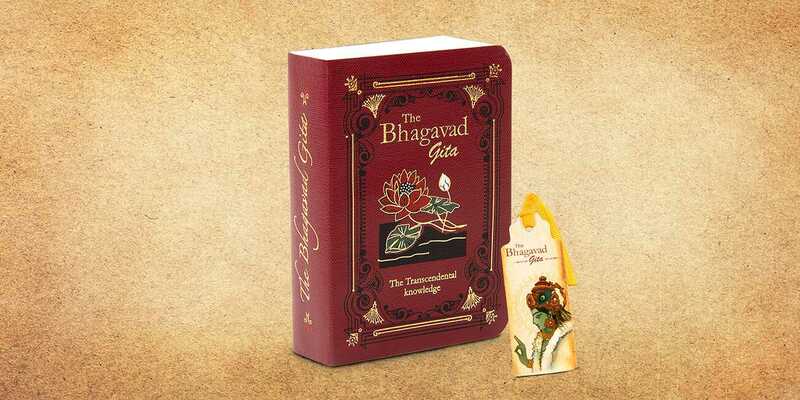 It has been embellished with beautiful gold foil work on the covers and spine. 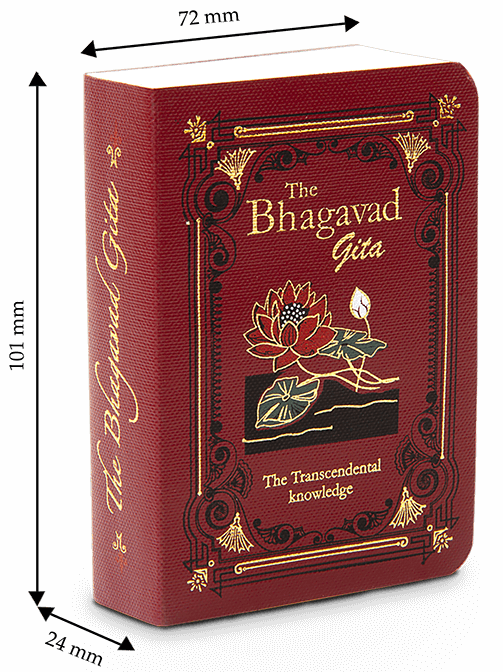 This flexible and lay-flat edition contains the original Sanskrit verses with their transliteration and translation in English alone. 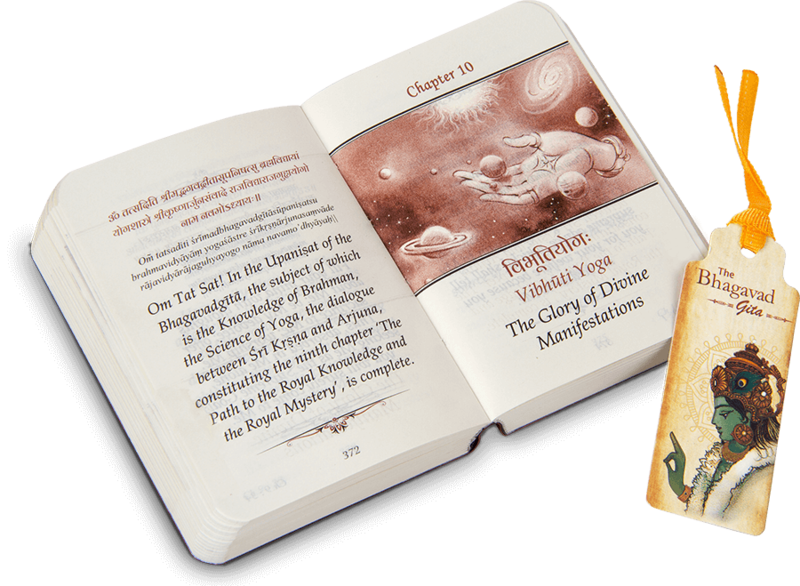 There is a creative illustration at the beginning of each chapter. 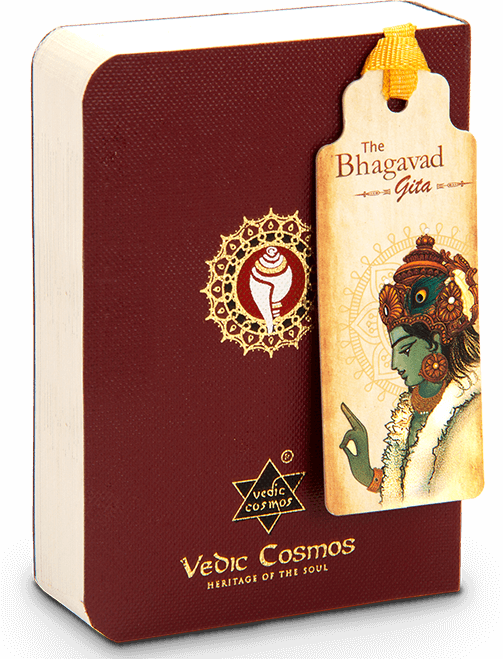 The book comes with a cute little bookmark featuring Lord Krishna. High quality material to ensure it’ll last a long time. Size makes it perfect to carry around. Verses printed beautifully and artwork is equally as mesmerising.